Insurance companies are bullying their insured’s by using scare tactics to force you to use their direct repair facilities. Please feel free to watch Anderson Cooper's report on how auto insurance companies are using unethical tactics to repair vehicles so you can protect yourself and your car and avoid further damages. 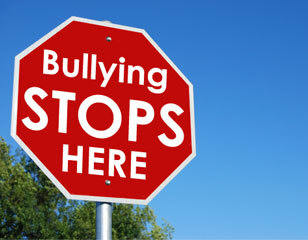 Don’t Be Bullied By Your Insurance Company!!! Insurance companies are bullying their insured’s by using scare tactics to force you to use their direct repair facilities. In the auto collision industry this is known as steering. Section 2610 of the New York State Insurance Law provides that the insurance carrier shall not require that repairs be made in a particular place or shop or by a particular concern. We are the standard of integrity for the auto collision industry. Our Shop is equipped with the latest innovative equipment. Customers can drop off cars, report insurance claims, receive free estimates, have rental arrangements set up as well as FREE Car Co insurance photo inspection. We know how stressful an accident can be without worrying how much you will be paying for repairs. That's why we want to help ensure you don't have to. 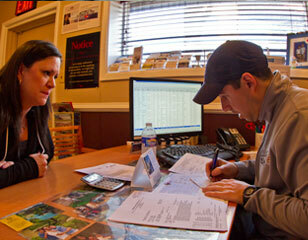 You have the right to choose your repair facility: a repair facility you know you can trust. See Autobody 101 for Answers to all the Important Questions you might have. Have more questions? We would love to answer them. 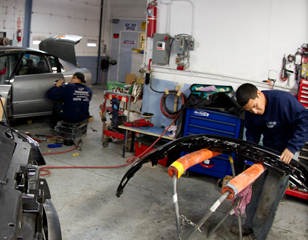 "There’s no guesswork when you select Deville as your trusted auto body shop. We guarantee to meet the highest standards for training, quality of work and customer service." 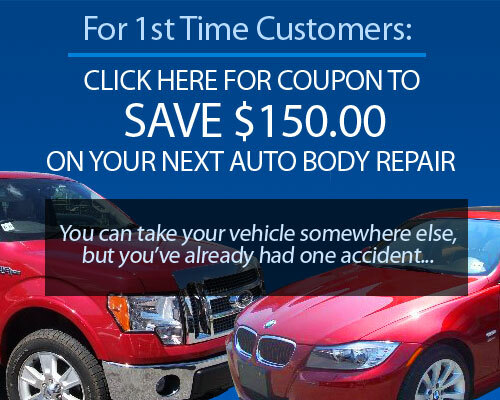 See Deville Auto's Testimonials and learn why we are the right auto body shop for you.